Lifetime Outdoor Sheds are perfect for a variety of uses. They are built to the highest standards and have a very attractive look for just about any yard. The frame is steel reinforced and the walls, floor, and roof are made from polyethylene plastic, which will not fade, crack, or peel when exposed to sunlight making these sheds a better option than other vinyl sheds. Sky lights allow for natural light to permeate down into the shed. Please note that the 60011 extreme weather kit is not compatible with this shed. Major shed components made in the U.S.A.
2. 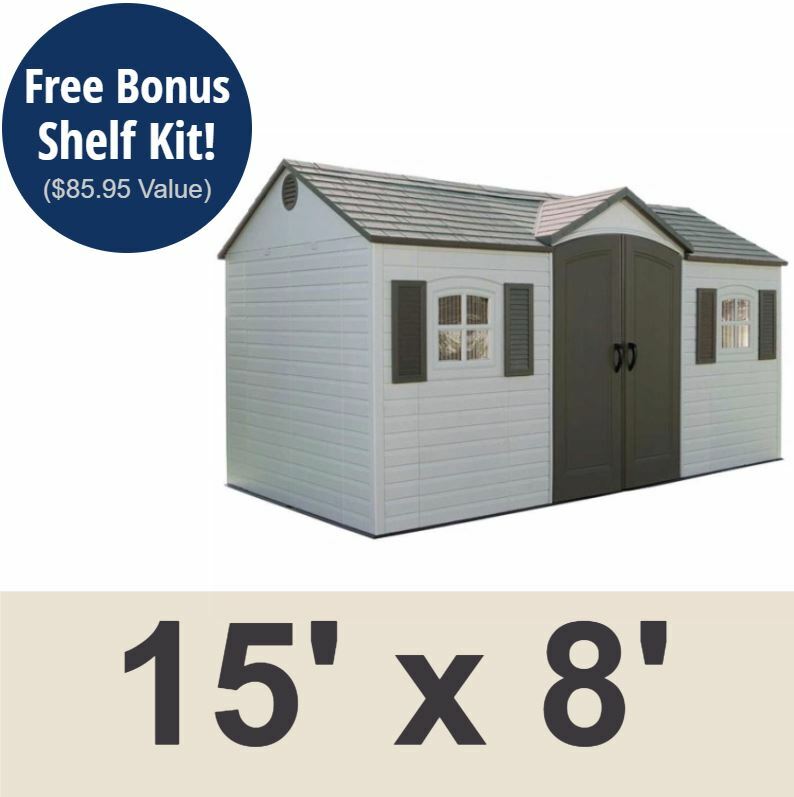 Lifetime Sheds Are Low Maintenance - No need to worry about a metal shed rusting or painting a wood shed! 3. 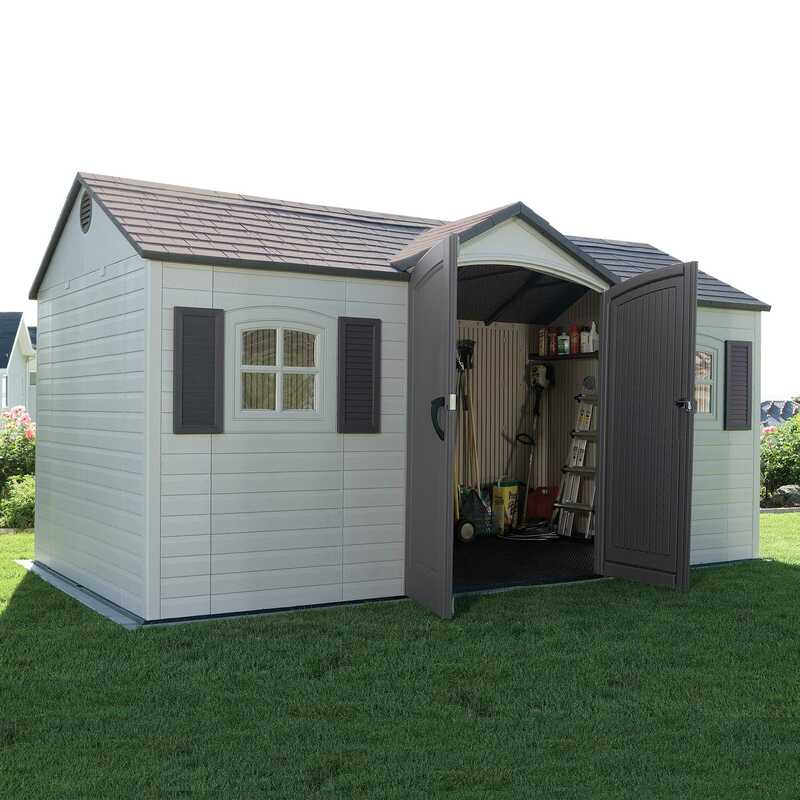 Lifetime 6446 Outdoor Storage Shed Features Superior Sturdy, Solid Steel-Reinforced Quality Construction - Lifetime has specialized for many years in high-density plastics and metals - now they are bringing this expertise in quality to the outdoor market! 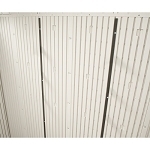 6446 Storage Shed Lifetime Steel-Reinforced Dent-Resistant Walls. 4. 6446 15x8 is Upgradeable, and Customizable - One size fits all? 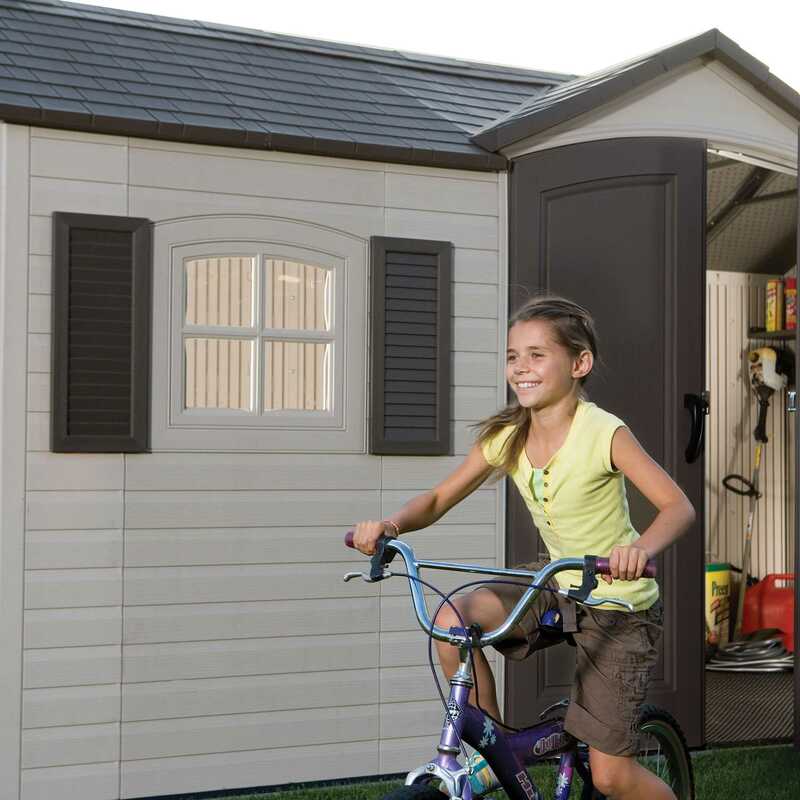 Not with this shed - You have the opportunity to make your shed larger and customize your shed with many different accessories to make it just the way you want it. Additional shelving is optional on 15x8 Outdoor Sheds. 5. 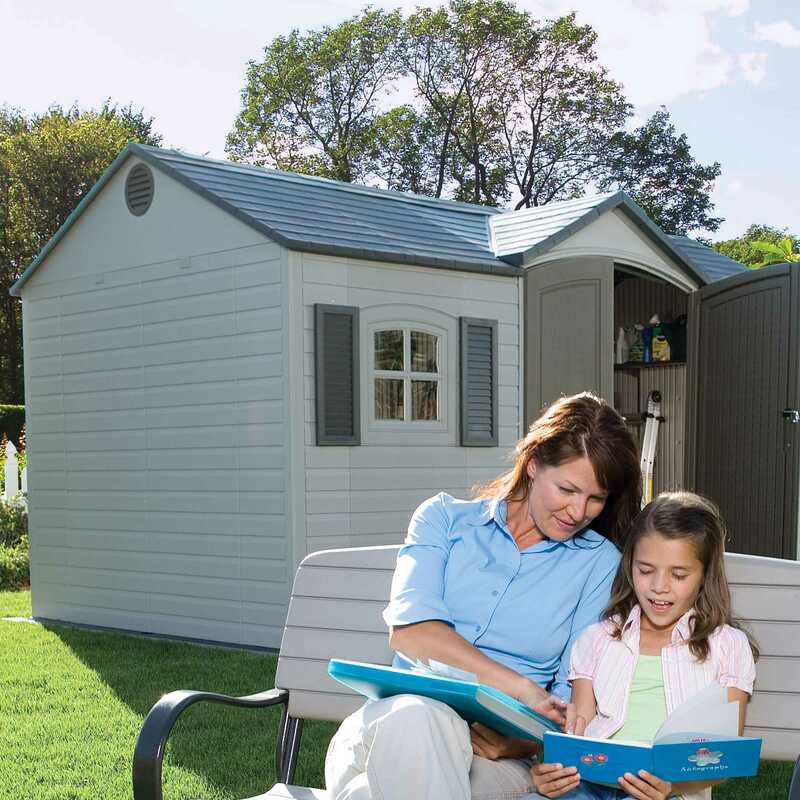 Lifetime Outdoor Sheds are Spacious - Without having to crouch down to enter or move around, space can be used to stack boxes, park a riding lawn mower, or even as a garden planting room. Same spacious dimensions as the Lifetime Brighton Shed. Spacious Outdoor Storage Building, tall ceilings, walk the room, plenty of storage room, efficiently designed use of all space. Shatter proof window that open and lock and skylights create a fresh and pleasant atmosphere. 1 long skylight along the ridge of the roof. 10. Ten Year Warranty - The manufacturer backs that American-made quality up by offering the best warranty in the business - A 10-year warranty that covers everything on the shed from top to bottom! Important Note: Please check your local city, county, and neighborhood restrictions before purchasing this shed. Competitive Edge Sheds manufactured by Lifetime are delivered via curbside. A wooden foundation or concrete slab is recommended for the shed to set on. The instructions show how to build both the wooden foundation or concrete slab. 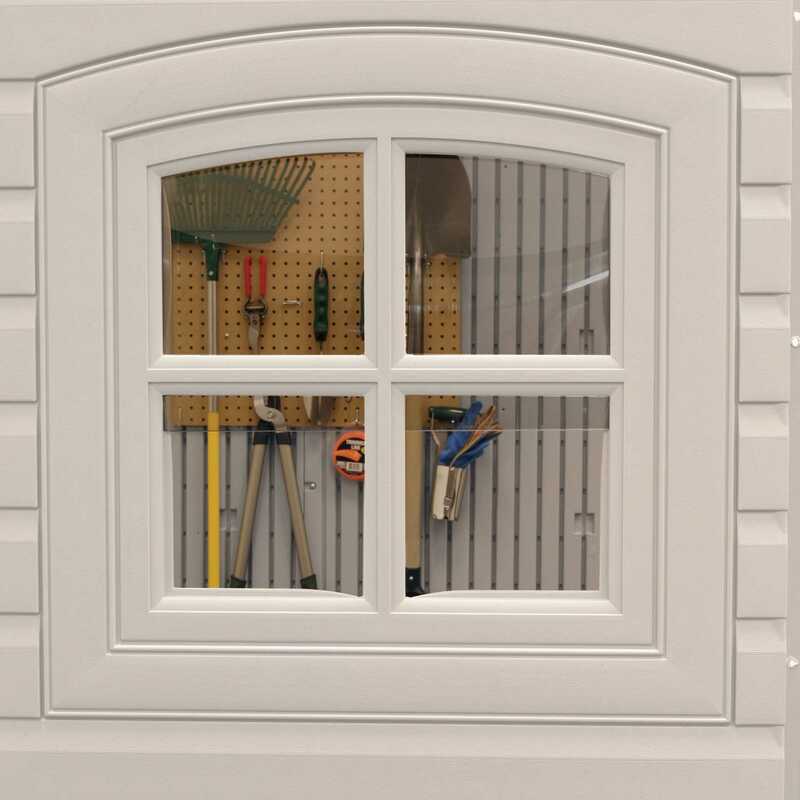 Please see our entire line of Lifetime Garden Shed products. Nominal Dimensions - 15 x 8. Footprint - 178 inches w x 94 inches d.
Exterior Width - 176 inches. Exterior Roof Width - 180 inches. Interior Width - 174 inches. Square Feet - 108.75 square feet. Cubic Feet - 749.5 cubic feet. Roof Support Trusses - Three (3) Steel A-Frame Trusses. Window - Two (2) 17 inches w x 17 inches h Polycarbonate Window - Opens Half Way. 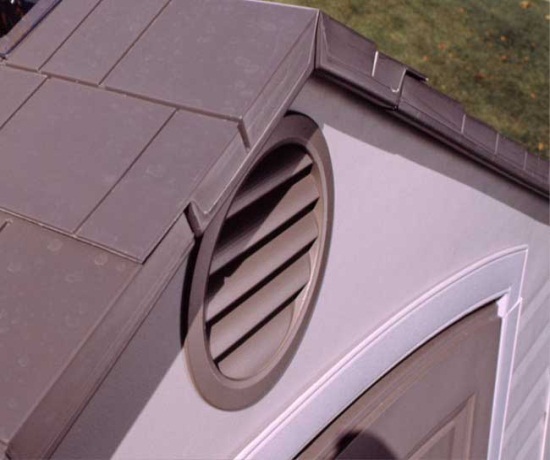 Included Skylights - Six (6) Polypropylene Skylights. 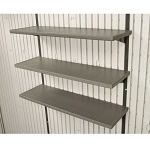 Includes Shelves - Two (2) 90 inch W x 9 inch D; Four (4) 9.5 inch radius corner shelf. Please note that this shed is non-extendable using Lifetime shed extension kits. 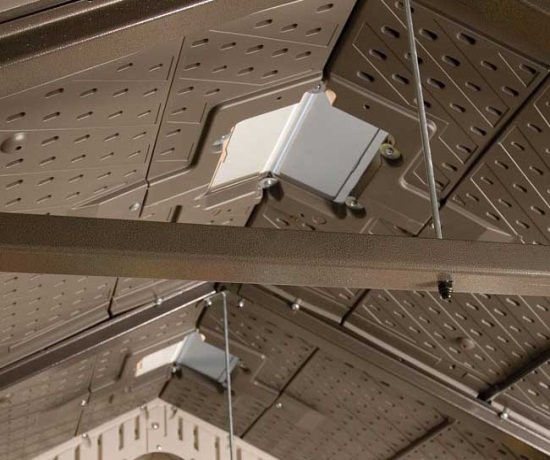 The skylight on the ridge of the roof makes the extension kits not compatible with the 60056 storage shed. It has a nice clean look. Looks good in the back yard. Looks like it belongs there. Its very sturdy and serves the purpose I got it for. I am very happy with it. THE BEST! Thank you for your prompt excellent delivery also. All pieces were there and was really not too hard to put together as long as you take your time and pay attention to pieces. We had it up over the weekend. Thank you Thank you, Thank you!!! Product in perfect condition and delivered on schedule. Excellent Quality, shipping, and I love this shed, thanks so much!!! The product and company have been great! 2 sometimes 3 of my neighbors came to help me put up my new shed. Its instructions were very easy to follow and the shed went up in 1 day. I would recommend this shed to anyone. The hardest part was cutting my lawn out, (hired a young man), and leveling a stone dust base. I had to level, pack, water, re-level several times to get the level that I desired. I do wish that they had a roll up door option for the end as I am working on constructing my own. We have had ours for over a year now and are very pleased with it. We liked the fact that is all plastic with some metal supports so it does not have to be painted. We have not had any problems with it and would recommend it to our friends. 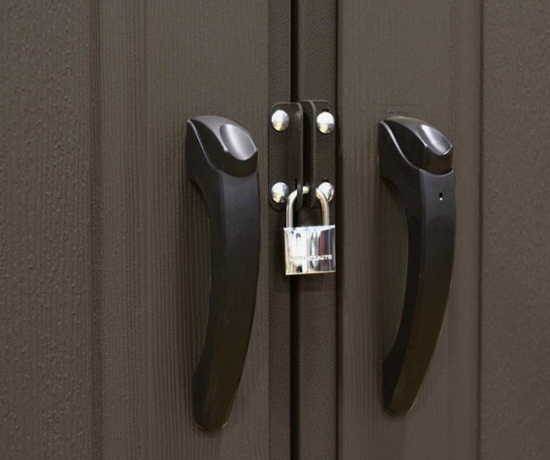 Q: are the doors lockable with my own padlock ? Q: Do all your shed offer installation? A: We recommend a few companies including: www.homeadvisor.com. www.takl.com (our favorite) www.angieslist.com Facebook classifieds groups are also a great way to find an installer locally. Please note that we are not affiliated with any of these companies. This is simply a list to guide you in your decision making. Make sure you do your homework on your local ordinances and city codes when installing a structure. A: Yes, if you are asking about assembly they go together the same way. This 6446 goes together the same as 60079. If you add extensions you can extend it to 20' wide. Q: Does this shed come in gray? Q: The shed comes with 2 shutters. Just wondering if this is 2 pairs or just 2 shutters? 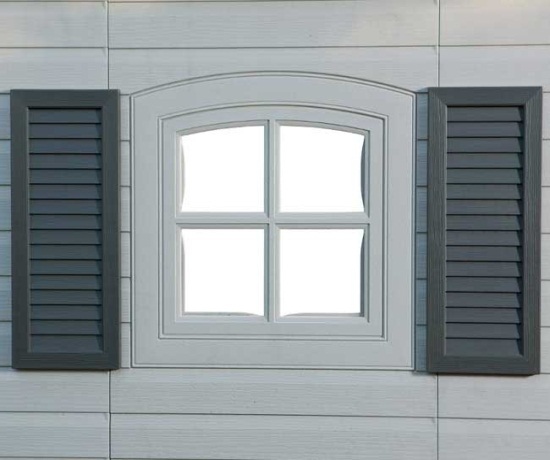 A: 2 pairs (4 shutters) You will have shutters for both sides of both windows. Q: Can the window shutters be left off? Or are they non-removable? 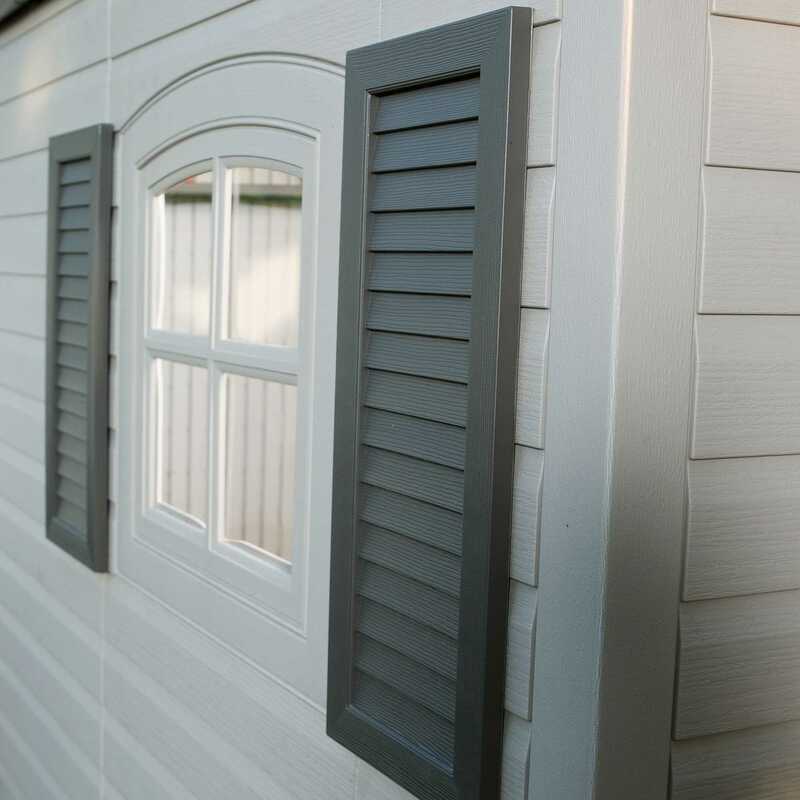 A: The shutters can be left off just don't screw them in during assembly. Q: I plan on using this as an office studio with power but no plumbing. Is it possible to add insulation and electric inside? A: Because this does not have studded walls like a wooden shed there is no simple way to insulate it. The manufacturer does not recommend run electricity to it as well-apparently avoids the warranty. Feel free to contact us with any other questions. Q: Before I confirm my purchase, could you please let me know which courier service you would use to deliver to home in CA 92065 ? If using are using US Postal Service, just I have to pick it up from the Post office which will not be possible. A: It would ship through a motor freight carrier called ABF arriving on a semi truck. They do call you to set up a delivery appointment. 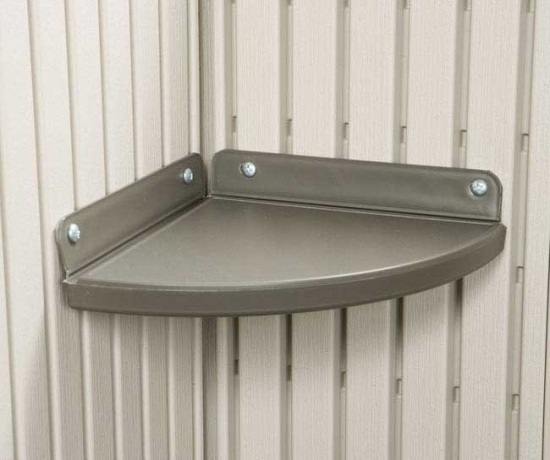 Q: hi on this shed how much does it cost to install it in zip code 60440? A: Depending on who you hire it can cost around $500 plus the material to build the base or the concrete slab. For assembly I'd recommend Service Connection. They do installation in every zip code and they'll give you a quote if you call 855-544-8854. Q: Will it shipped free to my home and removed from truck? What exactly is the free shipping policy? A: The free shipping is a curbside delivery, meaning that the shipping company will call you to schedule an appointment, and have you sign for it. They can bring it as far as the curb, and we recommend that you have some people to help you move it to the desired location. One thing that some customers have found is that it may be easier to just open the boxes and carry the panels to the backyard. 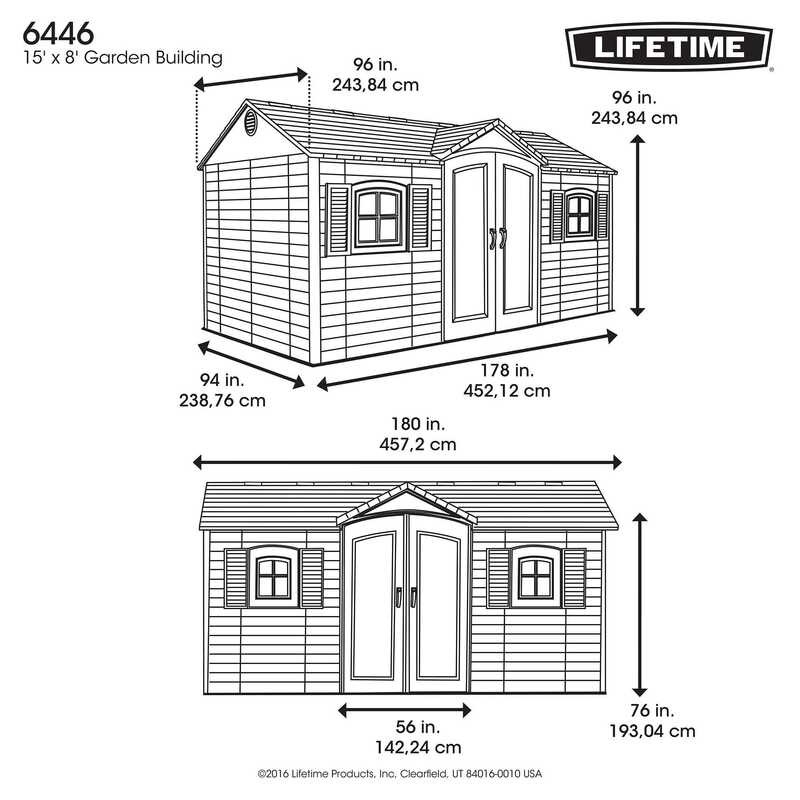 Q: I am ordering the Lifetime 6446 Shed and it says there is an additional $100 off when I go to check out... I haven't seen that pop up. What am I doing wrong? I assume this is drop shipped, do you know how long it takes? Do you know the weight? Is it something I need to coordinate with the shipper? we are building a platform and I want to make sure we are covered. Can you assist me? A: Sorry about that, we must have forgotten to activate the discount. It should work now, thank you for letting us know. Most items usually leave here the next business day; however, due to high popularity, this and some of our larger items are taking a couple extra days to ship out. Shipping to your location can take about a week to ten days to arrive. Often it arrives sooner, but we cannot guarantee any specific delivery dates. Tracking will be automatically emailed to you as soon as it ships out. The shipping company will call you to schedule a delivery appointment. 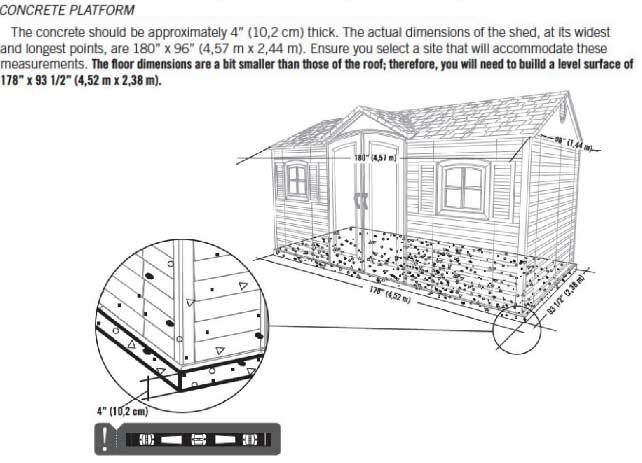 The instructions (last tab) have good info on building a foundation. Feel free to contact us with any questions. Q: What shelves are included? Are the shutters included? A: This shed includes (2) 90” x 9” shelves, and (4) corner shelves. 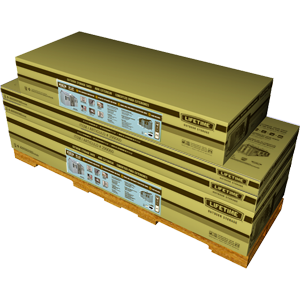 We also throw in a bonus 3 pack of 30” x 10” Shelves if you purchase from us. This shed includes (2) decorative shutters. Q: How well does this hold up in the heat? A: This shed has a durable High Density Polyethylene construction, which makes it less hot than metal sheds, but it still might get a bit stuff inside. 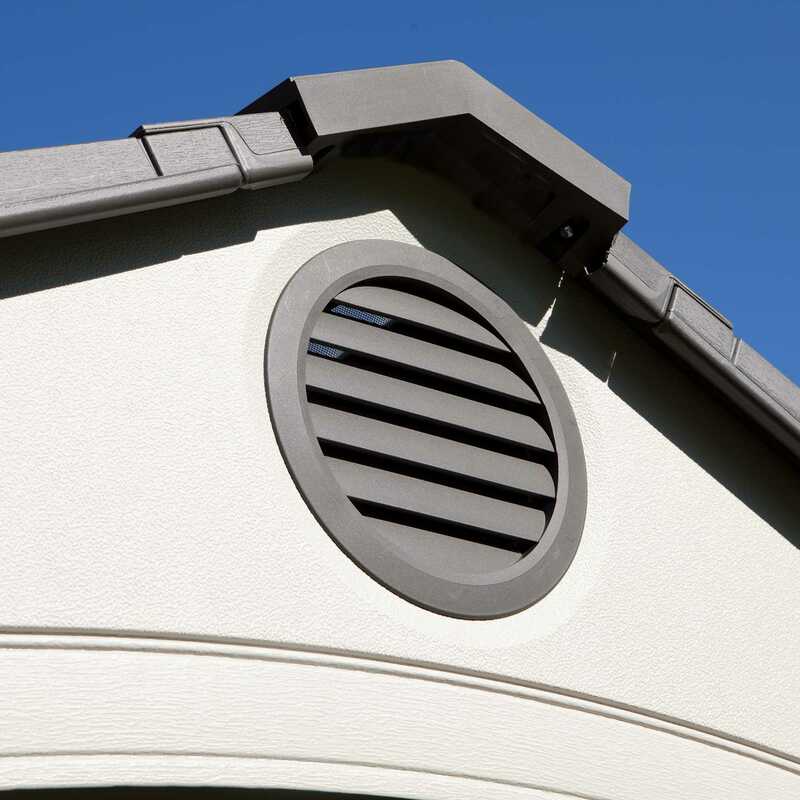 The two vents provide airflow, and the windows also open halfway to help air it out. Q: How do I build a foundation? 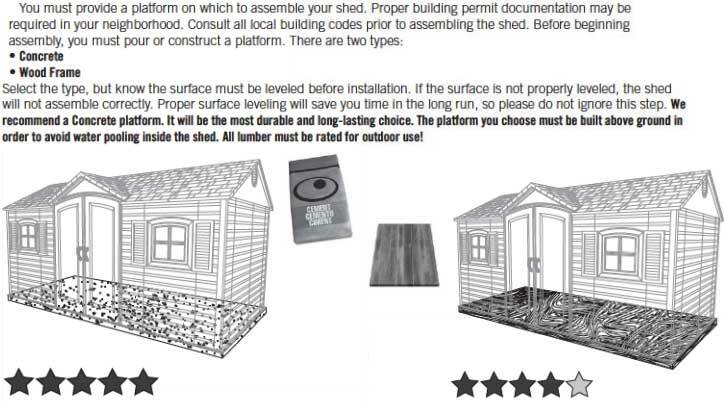 A: Please view our instruction tab, there is a lot of great info on how to build your foundation, along with how to construct the shed. Q: Does this include a floor? 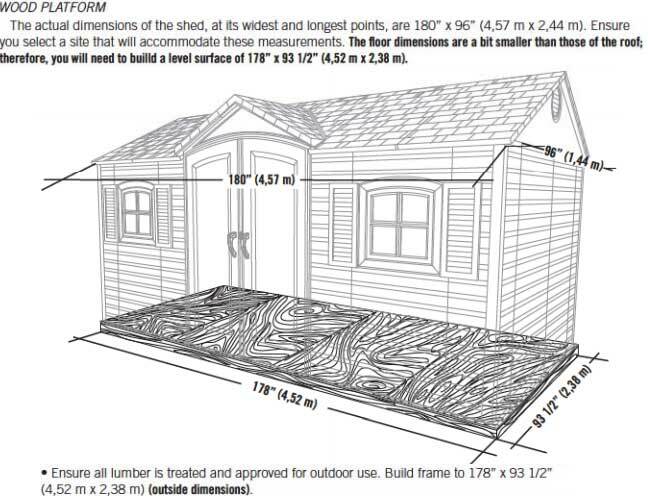 A: Yes, the floor is included, but you will want to have a foundation to put your shed on. Q: Do you offer installation services in NY 11791? Possibly 22 December 2016? A: For assembly help, please call 855-544-8854, and give them your zip code and the model number of the product to get a price quote. Q: Could I connect 2 of these together to have one that is 30 feet long? A: Could I connect 2 of these together to have one that is 30 feet long? A: The parts are not made to connect with another shed, but you could buy multiple of either the 6422, 60142, or 6424 extension kits. 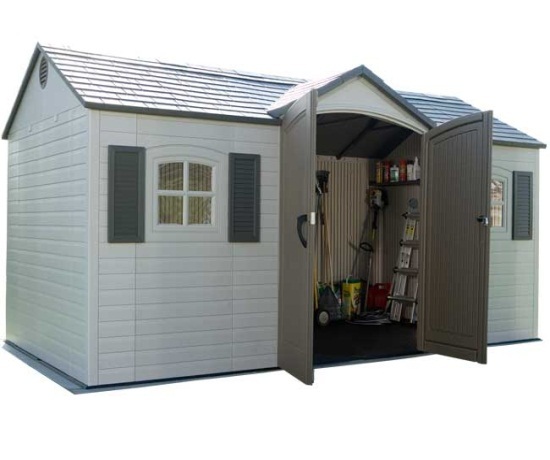 Keep in mind however, if you want your shed to look symmetrical you will need to buy an extension kit for each side. Also if you extend your shed too far it may void the warranty. Q: I would like to put a window air conditioner in this. Are the windows functional to where I could do that, or would I have to cut a hole? 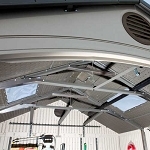 A: The shed includes shatterproof windows that open and lock; however, the window openings are quite small and the weight of the air conditioner may be problematic. Q: Can I paint this to match my house? A: Many hardware stores sell paint that is designed for plastic. However, lifetime (the manufacturer) does not recommend painting the sheds and if it is not done correctly the paint begins to chip and flake away. 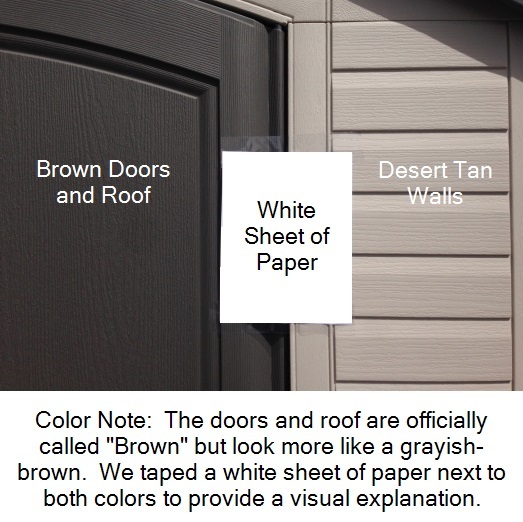 It would be a good idea to reach out to professional painting store for specific advice. Q: This kit usually has two 90 inch shelves and a peg board included. 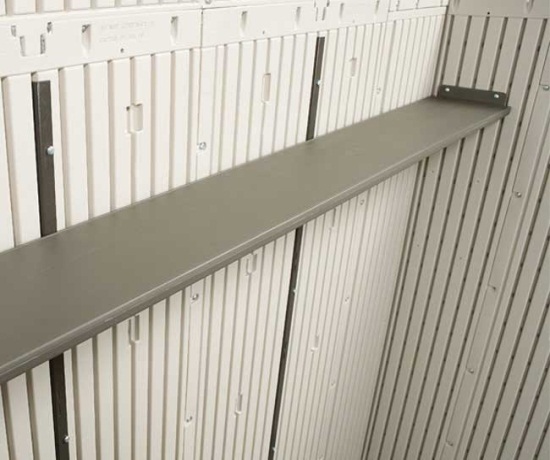 Is it include in your setup; in addition to the Lifetime 3-Pack Shelving for 7, 8, 10, 11 & 15 ft Sheds that you are offering? Thanks in advance! A: Yes, that is included in addition to the three pack of shelving promotion currently going on at the time of this writing. Q: Just to make sure the door is on the 15 ft side? A: Yes, the door is in the middle of the longest (the 15') side between the 2 windows as shown in the picture. Q: How many extension kits can I add to this shed? A: You can add extension/expansion kits up to 30 ft.
Q: Can this shed be placed directly on a concrete pad without flooring? 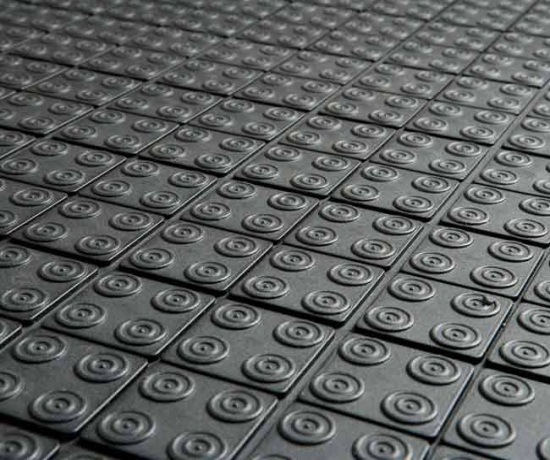 A: It includes the flooring, but a concrete pad is ideal. The flooring is still necessary since it holds the shed together. Q: Very interested in this product . Do you setup and deliver to Southern Maine (Biddeford 04005) ? A: We do deliver to Maine. For assembly you will want to get a quote by calling 855-544-8854. Q: Do you know someone that can build it in the Glen Allen, VA (23060) area? Can small stones (pebble size) be used to put it on or is concrete the best-interested in the 8X15? A: The manufacturer recommends placing the shed on a flat structure such as a wooden foundation made of treated 2 x 4's and OSB board that you can pick up from your local home improvement store. The instructions show just how to build it and what materials are needed. The other recommendation is a concrete slab. The concrete slab is more pricey to erect. Some customers put it on cinder blocks, pea gravel, or other flat structures. The important thing is to make sure it is flat and drains well. If it isn't flat you may run into issues with your doors closing properly. Feel free to contact us with any other questions. For assembly you can call 855-544-8854. Q: I plan on pouring a concrete slab to put shed on. How do I anchor the building to the slab ? A: The instruction manual explains how to do this. On the interior there are 4 spots where you drill a hole into the concrete and attach it with the concrete anchor (sold separately from your local hardware store). Putting it on a concrete slab is ideal. Anchoring your shed is completely optional. Q: How much weight can the whole thing stand? Q: Can I add shelves? And also do the windows open? A: Yes, you can add shelves. Simply scroll to the bottom and you will see the related items. Yes, the windows do open halfway. Q: Can I lock it up? A: Yes, it has a padlock loop so you can lock it up and keep it secure. Q: How insulated is the interior of the shed? A: These are not insulated. They are blow molded so there is a little bit of natural insulation, but not enough to consider it "insulation". Q: The weather around my house consists of rain. Will this ruin the shed? A: The shed should be able to handle normal rain for many years. A: Most of the delivery trucking companies we use for this shed will have machines on the back of their trucks, called lift gates, which will lower the boxes to the ground for you. However, in rare instances, the freight truck will not have that machine handy. In those cases, the boxes will need to be pulled off one at a time. Please make sure you plan your appointment accordingly so you can get sufficient help. Please note that these videos are meant to provide general information for this product and have been created by individuals that have owned or used this shed. The details of the 6446 are listed on our website listing. Please do not use specific details from the video to know what comes with the 6446. Here is a helpful video about the 60079 which is a similar shed. Please Note that this 6446 does not include an additional door on the side. Please note that the driver will not assist in moving the packages anywhere on the delivery property. To help you prepare for this delivery to make sure you have sufficient help. This shipment includes 3 boxes on a pallet weighing a total of 725 pounds. The instruction manual is found in box number 2. Dimensions: 96" x 48" x 32"